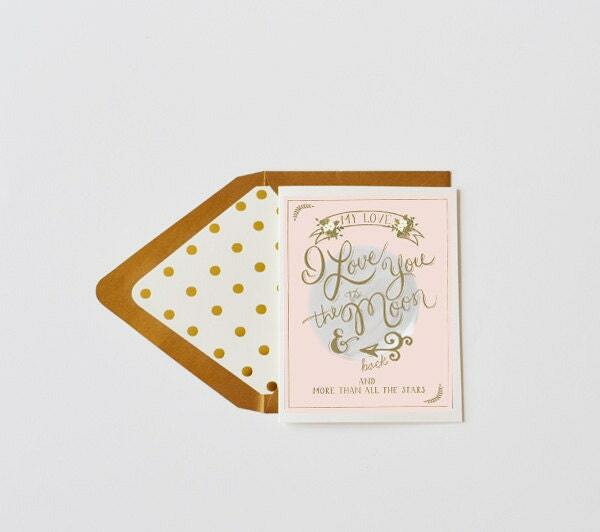 Blush and Gold inspired, Blush background, and gold ink for text. (not metallic). and more than all the stars"
Vintage inspired florals adorn the banner up top.